Royal newlyweds to honeymoon in Beirut! 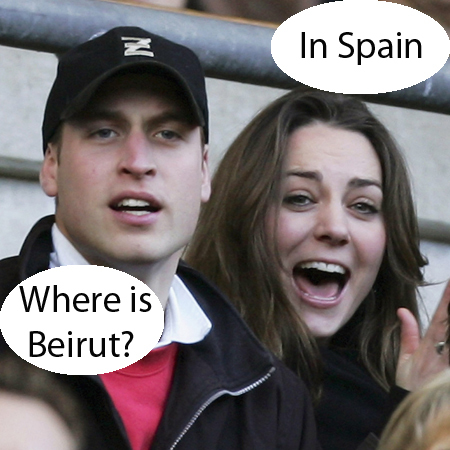 Royal couple Prince William and Kate Middleton are planning to spend their honeymoon in the vibrant Lebanese city of Beirut, sources at beirutbeat.com can reveal. The weekend holiday is set to be the most outrageous Royal getaway since the Queen spent her 60th wedding anniversary getting ‘well mashed’ in Berlin back in 2007. 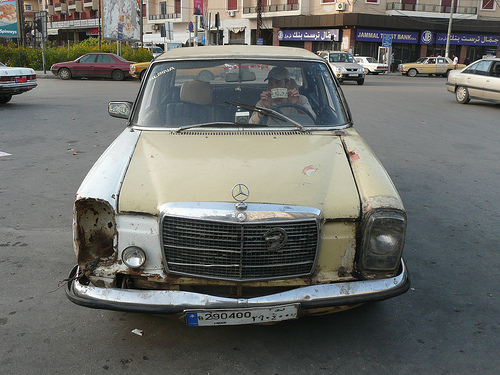 The Royal newlyweds will be picked up from Beirut’s Rafic Hariri airport by a chauffeur-driven vintage Mercedes and whisked away to a secret budget hostel in the heart of the city where they will occupy the honeymoon suite, which comes with unlimited WIFI access. After a quick hotdog, the couple will then stumble to hip music venue ‘Zico House’, where William plans to sneak in a half bottle of Label 5 whiskey, due to the fact that ‘It’s a bit pricey in there on weekends’. A source said the couple were also looking to ‘score a bit of you-know-what’ if anyone has any. The honeymoon will certainly be a welcome break for the pair, before they return to their back-breaking work of being undeserving multi-millionaires who wave at people from behind bullet proof glass. This entry was posted in Preview and tagged almaza, beirut, royal honeymoon, royal wedding, william and kate. Bookmark the permalink.